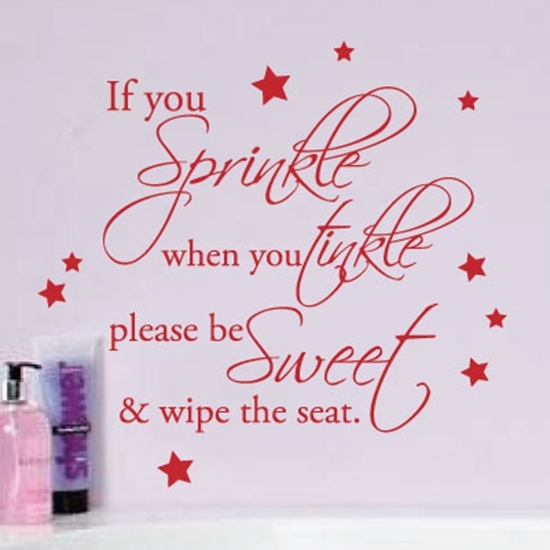 T-00208 A pretty design to remind people or bathroom manners. 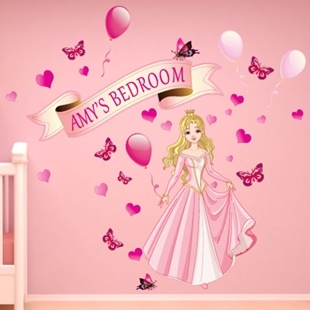 This pretty pink design is perfect for any little girls bedroom. Vinyl wall art is the hottest new trend in home decorating. Get the hand-painted/ stenciled look without any mess. 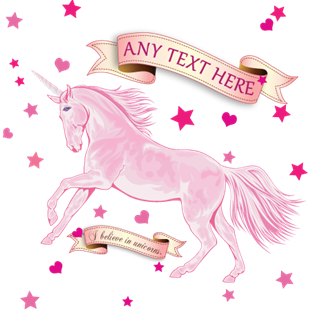 This design includes a pretty waving banner with personalised text, princess, balloons, butterflies and hearts.  Simply peel off the backing paper, apply graphic to your surface - easy!. Vinyl wall art is the hottest new trend in home decorating. Get the hand-painted/ stenciled look without any mess. 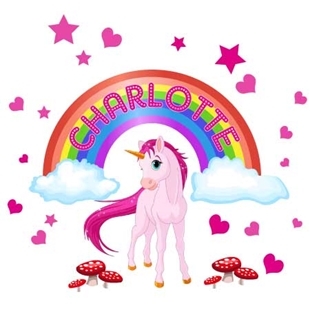 This design includes a coloured rainbow with personalised text, unicorn, mushrooms,stars and hearts. 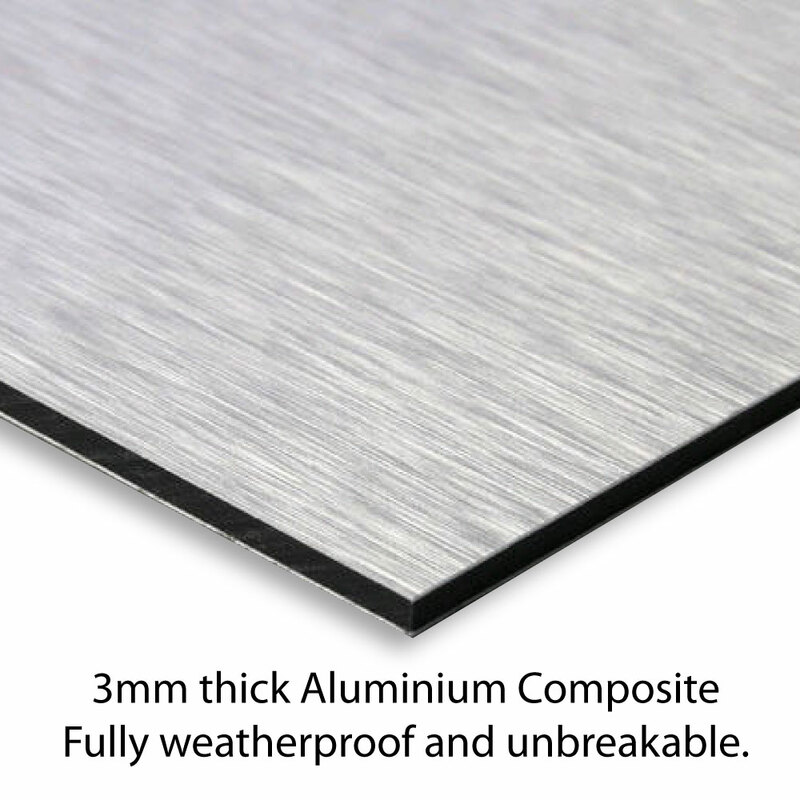 Simply peel off the backing paper, apply graphic to your surface - easy!.